The positive influence of Jupiter over the 9th House from your Sign indicates that this may be a highly opportune week. The 9th House is chiefly associated with Luck and Destiny. Hence, lady luck shall be on your side, assures Ganesha. Subsequently, you shall be successful in many of your endeavours, and achieve personal growth. However, as the retrograde Saturn too is positioned in the 9th House from your Sign, the favourable results may take their own sweet time to come your way. Also, Mercury’s retrograde movement may force you to revisit some of your strategies. Financially, this will be a relatively comfortable time. You can also look forward to enjoying some pleasant time with your family and friends. However, the ongoing transit of the malefic Ketu and Rahu around the axis of the 1st and 7th House (for your Sign) may keep your marital and intimate relationships somewhat troublesome. Lie a little low, and, for a change, try your beloved to take some of the household decisions, hints Ganesha. Taurus ( 21st April to 21st May ) : You may remain tense due to some domestic problems, which may leave you pondering over the issue at hand. You will be hell-bent to get an appropriate solution, as soon as possible. The fiery Sun and Mars are now posited in the 2nd House from your Sign. This increases the chances of conflicts and disagreements on the home front. You may also be bent to speak rather rudely or dryly with your loved ones. Take care! Or, you will repent this behaviour, and shall, then, be trying to pacify the whole situation by buying gifts or planning dinners. Around mid-week, you may bump into (or meet) an old crush or school friend. Or, such a person may get in touch with you. Besides extremely heartening, this renewal of association shall also prove to be gainful for you in future, due to the close relations of this person with some influential persons in the society. At work, you may feel that your superiors are behaving arrogantly, pressurising you continuously to work quickly and improve efficiency. This could lead to hot arguments, though, finally both of you shall compromise. Towards the end of the week, your boss may clarify the task, which help you increase your productivity. Business persons may have to put in extra efforts to convince prestigious clients. Gemini ( 22nd May to 21st June ) : The beginning of the week shall be opportune for sales and business people, especially the ones going on short-term trips for renewing orders with their outstation clients. However, you may face tough times in the coming days, since two fiery planets Mars and Sun will be posited in your Sign, in opposition to the retrograde Saturn already placed in the 7th House from your Sign. You may experience difficulties while tackling matters on the personal, health, marital and domestic front. The going may seem tough, yet Ganesha pushes you to keep striving, as this will help you manage everything well. As the Ruler of your Sign, Mercury, is also moving in a retrograde mode, you may fail to reach conclusions or solutions, but this should not stop you from persisting. Do watch your health, though! Do not neglect any minor indications, and attend to any nagging issues on an urgent basis. In the home arena, things may not be very peaceful, especially for the married ones. Nonetheless, you will have to take this challenge and continue unabated. Cancer ( 22nd June to 22nd July ) : Rise in your earnings is foreseen by Ganesha during this week. Money may come your way through renting or selling an old property or as a dividend on an earlier investment. With a large sum in hand, you might expend some money for your near and dear ones, and make their summer holidays more enjoyable. You may also visit a holy place with family, during this week. Sales and business persons can expect to gain around mid-week, by making short trips, which shall help them widen their customer base. However, some issues on the domestic front may keep you occupied, specifically around the weekend. At work too, you may feel tormented, as your boss may coerce you to increase your productivity. Love birds, though, shall have a gratifying time. On the other hand, married couples may feel that the spark in their love life is missing. Relax, and maintain a calm demeanour, as this will help you keep your relations harmonious. Leo ( 23rd July to 22nd August ) : This week augurs well for Leo natives. You shall now get the fruits of your labour. Actually a recent contact could be largely responsible for your success. Subsequently, you shall feel more comfortable, financially and otherwise. You might even visit an overseas destination and wallow in leisurely activities. Nothing special is foresee on the career, though. Yet still, you may remain over-occupied at your workplace, due to some pending tasks. Business persons can expect to gain from outstation clients. Do not give credit or due guarantee to new customers. Further, around weekend, the Sun will join Mars in opposition to the retrograde Saturn, posited in the 5th House from your Sign. Consequently, your immunity may decrease. Take care of your health. Remain alert! Remember that precaution is better than cure. In the love realm, singles in a steady relationship may be slightly disappointed with their beloved. Virgo ( 23rd August to 22nd September ) : The Sun and Mars are currently placed in the 10th House from your Sign, alongwith the retrograde Mercury. Hence, Ganesha says that you may very keen to achieve growth in your sphere of activity. And, may even be pushing harder to get the desired success. However, you may experience some hurdles, due to the negative influence of the retrograde Saturn. Yet, undeterred by the setbacks, you will continue to move forward onto the path of progress, thanks to your systematic work and effective management. Career may remain a cause of concern, owing ot challenging environs. Try to simplify working methods and increase your productivity, as this will help you vastly. Plus, Ganesha says that every cloud has a silver lining. You will notice that your seniors are being less demanding now, guiding you, instead, to improve your efficiency. In the domestic sphere, you shall be eager to renovate your residence and streamline your family life. Libra ( 23rd September to 22nd October ) : You may be perplexed and may find managing matters on the personal and marital front somewhat challenging, as the week begins. Indifferent behaviour of your life partner may irritate you. You might angrily express your opinion. Relax! Ganesha advises you to not go overboard, trying to prove your point, as this may not be very helpful. Or else, the situation may get worse, causing irreparable damage to your relationship. In love realm too, things may be a bit confusing. Singles may get puzzled, while selecting a love partner, whereas those in a steady relationship might review their decision of moving ahead or not. Employed ones could also remain confused, and may fail to make up their mind about changing their job. However, as two major planets, Saturn and Mercury are currently retrograde, Ganesha advises you to continue in your present job, till the tide turns in your favour. Put in more efforts and work consistently, as this will help you rise up the success ladder. Scorpio ( 23rd October to 22nd November ) : Mars, the ruler of your Sign, is currently combust. You should, therefore, do your best to control your temper, or else it may irritate your beloved or co-workers. This shall have a detrimental effect on your overall prospects. Ganesha also advises you to take extra care, while communicating with your dear ones and any authoritative person. This is essential, since the 2nd House from your Sign, (associated with Speech), will be influenced by Saturn, posited in opposition to the fiery Sun and Mars, placed in the 8th House from your Sign. Select your words carefully, especially if you have to convey something that may be liable to be misconstrued. Business-people too shall need to remain cautious, while negotiating a big order or while dealing with their clients. Financially, you may remain unhappy, as some expenses may leave a hole in your pocket. Refrain from expending lavishly; save some money for the rainy day, instead. Singles seeking a love partner may meet a suitable match, during a journey to a far-off destination. 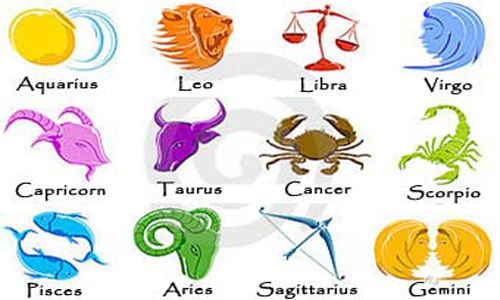 Sagittarius ( 23rd November to 21st December ) : The week brings a mixed platter. At one point your career and related matters may confuse you, while on the other you may be left dealing with the highs and lows in your domestic realm. You might also get puzzled about setting the priorities, due to the conflicting influence of Saturn and Mars on your Sign, this week. Employed ones shall need to update themselves with latest techniques; they may also be asked to handle multiple tasks to ensure a better performance. Those holding a managerial post may face hard times too. Business-persons may have to expedite things to fulfil their clients’ needs. You may also land in a tight spot, monetarily, as some customers may not pay their dues on time. 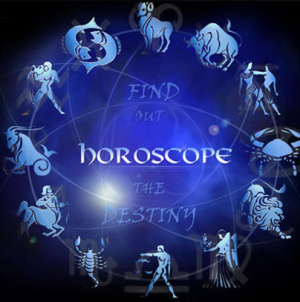 Besides, combust Mars and Sun, as well as retrograde Mercury, are currently posited in the 7th House from your Sign. Hence, you will need to be more adaptive and adjusting, in order to evade any conflicts in the marital domain. In case a dispute arises, you must take care to resolve it soon and as amicably as possible, says Ganesha. Capricorn ( 22nd December to 20th January ) : As always, work may remain the major cause behind many of your life’s confusions. You may get worked up or feel jittery, owing ot some arguments or differences with your seniors. Looking for better job prospects shall, thus, remain high on your agenda. However, as the ruler of your Sign, Saturn, is currently retrograde, and is posited in the 12th House from your Sign, it would be best for you to lie low and let this phase pass. Accept that this feeling of drudgery or the present uncongenial atmosphere will continue for a while, and simply, stop getting affected by this so much. Business-persons too may face a hard time this week, especially while clinching orders from some prestigious customers, so much so that they might have to finally close the deal with a thin profit margin. You may also feel uncomfortable financially, and shall anxiously seek other sources to increase your earnings. Minor health problems are also foreseen. Remain positive, says Ganesha, as at this time, most negative things shall be, largely, in your mind than in manifest. Aquarius ( 21st January to 18th February ) : Sometimes, when things fail to proceed as desired, you tend to get puzzled while selecting the methods to achieve success and growth. You may also be inclined to take disadvantage of the weakness of individuals around you, due to the negative influence of Saturn positioned in the 11th House from your Sign. However avoid going over board, else it could adversely affect your relations with the concerned person. Moreover, the disarray might restrict your positive actions. Hence, you should think twice before implementing your decisions. Employed ones may be worried about their career prospects. Actually, Ganesha advises you to keep your current job and do your level best, as the tension could have a detrimental effect on your productivity. Nothing special is foreseen regarding money matters, and it could be a no-profit-no-loss situation. Some health issues may bother you, especially respiratory problems, which might need your immediate attention. Take care! Pisces ( 19th February to 20th March ) : The Moon will now be in conjunction with Jupiter. You shall therefore become optimistic and shed off the negative feelings. However, your health may be far from satisfactory. Moreover, Sun, the Ruler of the 6th House (associated with Ailments and Diseases) from your Sign will also be in conjunction with Mars and in opposition to Saturn. Thus, problems related to the respiratory system may now get worse and require your immediate attention. You might also get hurt accidentally. Businesspersons may lose a nice chance to clinch a lucrative order, due to their slow response. Besides, if you check your temper, you shall bag some highly profitable deals from prestigious clients. Ganesha also advises employed ones to avoid being self-satisfied, otherwise it could adversely affect their future prospects. Further, your hard work may not be duly appreciated by your seniors, and a minor error could land you in deep trouble, since people are given to create a mountain out of a molehill. Be vigilant!